A FRIEND SENT ME THE ARTICLE BELOW ABOUT ERNEST LUNDEEN, an American “isolationist” politician from Minnesota who had a fair-minded and truth-seeking attitude toward the German-Polish conflict and the war of September 1939. Through Lundeen, I’ve learned about a couple others who are also of particular interest to me. Lundeen served in the US House of Representatives from 1917 to 1919, when he was one of 50 Congressmen to vote against the U.S. declaration of war against Germany on April 6, 1917. For this reason he was not renominated by his Republican party. After switching to the Democratic Farmer-Labor party, he was elected again from 1933 to 1937 in the Roosevelt landslide. 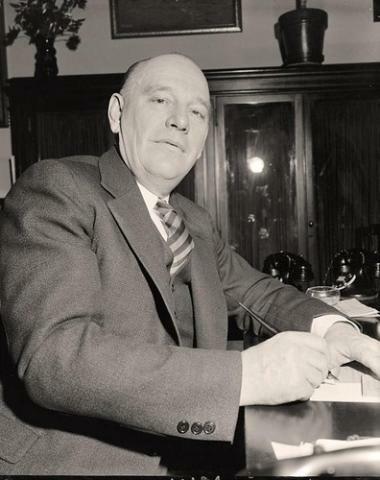 He then went on to become Minnesota Senator from 1937 until his untimely death in a plane crash on August 31, 1940. Lundeen’s father, C.H. Lundeen was an early pioneer in South Dakota, where Ernest was born and raised. The Lundeens in the USA come from Norway and Austria, according to ancestry sites. 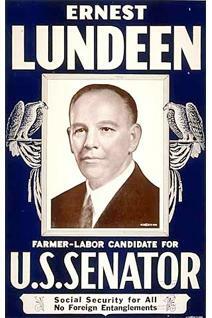 Ernest Lundeen is what I would call a true American patriot. Strangely, everything written about him I have been able to find ends around 1920, even though he lived until 1959. It’s as though some of his activities in those last forty years, which include the above mentioned dissemination of the translated Polish documents which the US State Dept was compelled to label as forgeries, are covered up in joint agreement with his family. Strassburger was proud of his distinguished German ancestors and wrote a book of importance to historians and genealogists: Pennsylvania German Pioneers, published in 1934. Athough baptised by his mother, the former Mary Jane Beaver, in the First Presbyterian Church in Norristown, he followed the creed of his father, the old German Reformed faith. His father was a member of the Reformed Church of Schwenkville, and his great-grandfather was a minister in other reformed congregations. 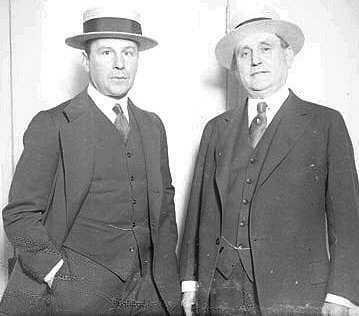 1920 – Republican National Convention, Chicago, R. B. Strassburger and A. P. Moore (right). Chicago Daily News negatives collection,. Courtesy of the Chicago Historical Society. Strassburger acquired residences in France in the 1920’s where he successfully bred and raced thorougbred horses until his death, after which his wife continued to do so. “‘This is my war!’ was proclaimed in Paris in 1914 by the Russian ambassador Isvolsky. “Our president could also exclaim ‘This is my war!’ when he looks at the catastrophe that threatens to engulf Europe’s culture today. Europeans have now expressed what Americans have long suspected: England, France and Poland would have settled their dispute with Hitler at the conference table if our president had not interfered. The Polish government would never have rejected thesensible proposals of the German leader if Ambassador Bullitt had not promised her the military support of England, France, and America. Lundeen in his Senate office. “When the Germans conquered Warsaw, they discovered a multitude of documents in the archives. The most prominent among them are byWilliam C. Bullitt, our ambassador in Paris, and Joseph P. Kennedy, our ambassador in London. In front of me are photocopies of the documents the Germans claim to have found in Warsaw. I do not know if these documents are real or not. I hope they are fakes, but I’m afraid they are not. Rather, I fear they are real, and they feed on the reasonable suspicionthat our government has made secret commitments to the Allies. At the end of his speech, Lundeen demanded an inquiry by a Senate committee. Many prominent anti-interventionists – including pilot Charles Lindbergh, historian Harry Elmer Barnes, and Senator Gerald P. Nye – joined him. (5) [the following month Lundeen was dead! -cy] However, instead of examining Bullitt’s activities, there was only one investigation into the translation of the documents. That same month, the “House Committee on Un-American Activities” turned to the New York publishing house “Howell & Soskin” and there learned about documents from the German journalist dr. Manfred Zapp translated by the German-American writer George Sylvester Viereck. (6) Both Zapp and Viereck were arrested in the spring of 1941 for spreading “National Socialist propaganda”. (3) Justus D. Doenecke Storm on the Horizon: The Challenge to American Intervention, 1939 – 1941. Rowman & Littlefield, Lanham 2003, S. 76. (4) Ernest Lundeen, Six Men and War. Speech of July 11, 1940. Hoover Institution Archive. A German-American poet, writer and reputed illegitimate grandson of Kaiser Wilhelm I. He came to the United States with his parents in 1896 at the age of twelve. In college, he published his first collection of poems. He continued writing and publishing, gaining national fame. In 1908 he became a Germanophile and his support for Germany and pacifism caused him to be expelled from clubs and fraternal organizations. 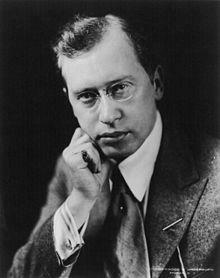 During WWI he edited a weekly magazine,The Fatherland. After the war, he was expelled from the Poetry Society of America. But in 1923 his popular-science book Rejuvenation: How Steinach Makes People Young brought him international success. He traveled through Europe, stopping in Munich to interview Adolf Hitler and became a well-known supporter of National Socialism. In 1933, Viereck again met with Hitler in Berlin and in 1934, he gave a speech to twenty thousand “Friends of the New Germany” at New York’s Madison Square Garden. One thing that comes clear to me from this is that if you were a pro-British propagandist or writer during the war years from 1910 to 1950 or so, you were applauded, assisted and even funded by the governmental and media reigning powers, while if you were pro-German, or even recommended neutrality, you were under suspicion as an enemy of the state. The actual declaraton of war in both wars was just a formality. And little has changed in that regard up till today, whether we are “at war” or not. Germans get thrown in jail, blown up in plane crashes, and blotted out from history.